Famous Dave's Legendary Pit BBQ! Meats are smoked in-house daily over hickory chips! All sides, sauces and delicious corn bread muffins are made from scratch daily! Over 700 Awards Nationwide for our Famous BBQ sauces and our tasty barbeque! Just down right good home smoked barbeque for a slabtastic price! 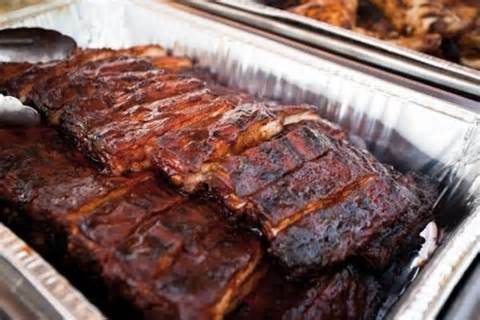 We even provide all of your paper plates, silverware, napkins, wetnaps, serving utensils and extra bbq sauce! Need servers at your event? We've got it covered!! 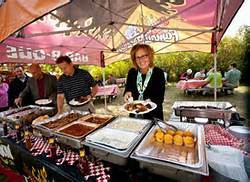 Give Famous Dave's a try at your next party!! As soon as possible - but Famous Dave's can turn around events within 3 days!